I have a bit of a confession I’m obsessed with Lighthouses. I’m not really sure why as I have an extreme fear of heights but always insist of walking up the twisted staircases to look out the top. Luckily being on the east cost we have quite a few lighthouses up and down the state and I’m pretty sure I’ve visited them all at least twice. They are just so beautiful to look at and learning about their history is equally as entertaining. 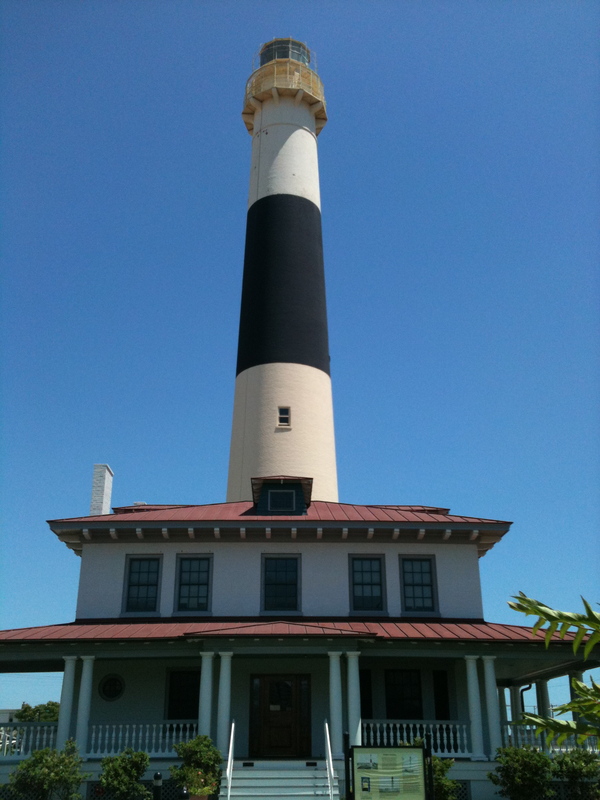 This past weekend we were near Atlantic City and had no plans to visit a casino but instead we decided to visit the Absecon Lighthouse which is located at the north end of AC. It’s located at Vermont and Pacific Avenues, and standing at 171 feet (52m) it is the tallest lighthouse in New Jersey. The lighthouse was initially lit on January 15, 1857 and was eventually deactivated in 1933. 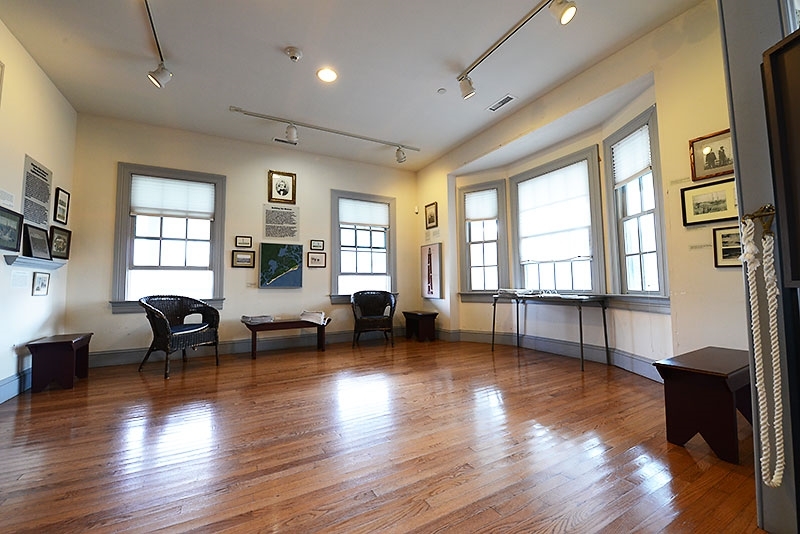 Currently the keeper’s quarters has been recreated and is now serves as a museum and gift shop. You can climb to the top of the lighthouse for a small donation which is well worth it as long as you don’t mind the long climb up. Once as the top there is a cage around the perimeter to keep you from falling over. 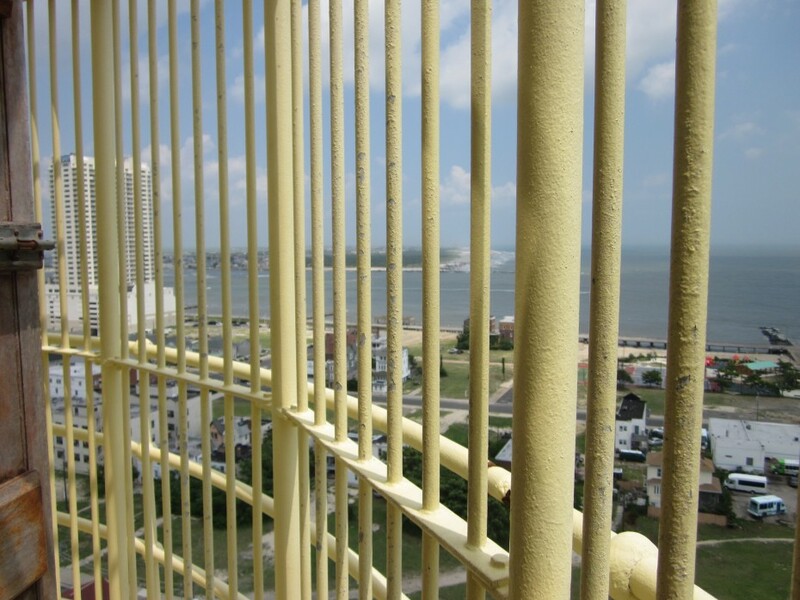 However I always keep a death grip on these bars for my own piece of mind and to try to avoid any vertigo. At the top you do get a beautiful view of Atlantic City, all the casinos and the Absecon. It does get very windy up there with makes talking with anyone a little difficult, but once you see the view you won’t be too interested in talking. Back down on solid group we checked out the museum which does have a lot of amazing old pictures and new articles about the lighthouse, the keepers and ocean life. There is also a lighthouse lens exhibit located in the original oil house. 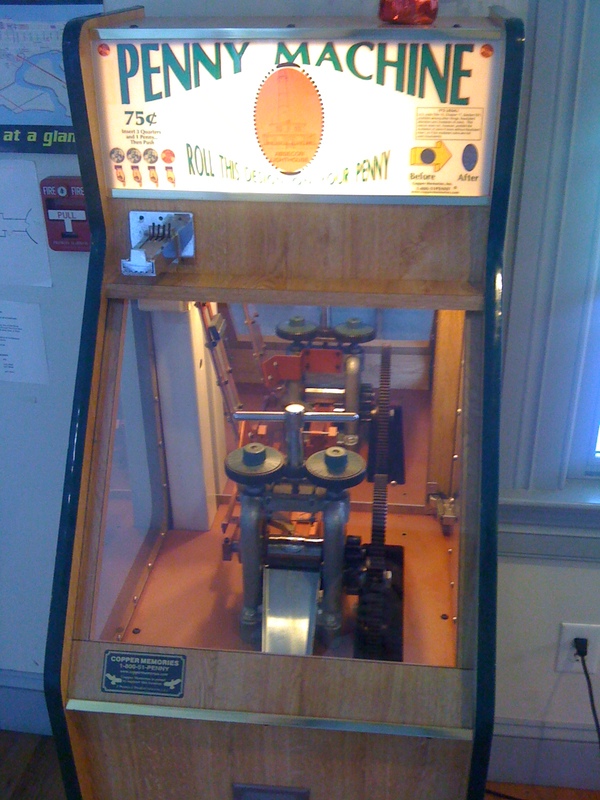 Right beside the main front door of the museum is a single-die penny machine. To press the penny the machine does need 3 quarters which is a little more than most machines. 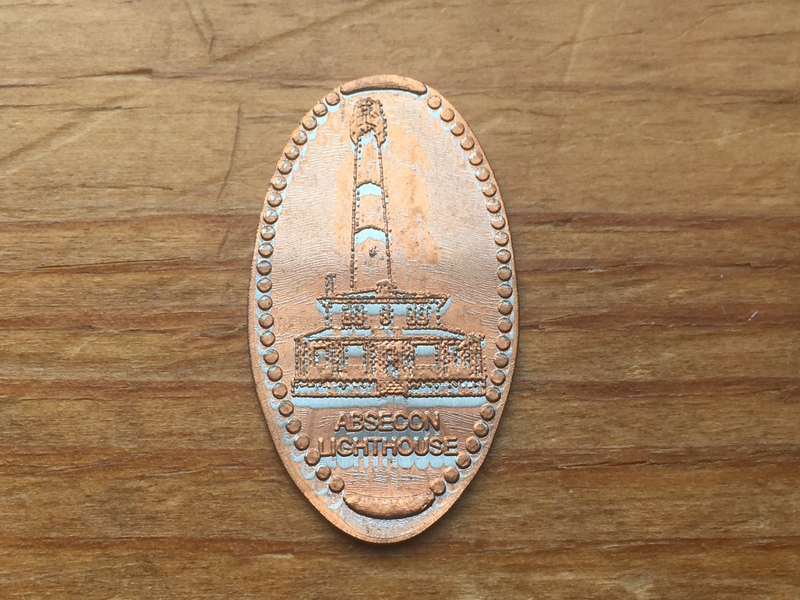 The design as you might have guessed is of the Absecon Lighthouse with some pretty nice detail. This would normally have been a long trip for us to get just one penny all though I must admit I have driven further for one. But we were in the area and whenever I can get up close and personal with a lighthouse I don’t hesitate too much. For anyone interested in lighthouses this is another great place to visit.